Weather in Portugal in october 2019 - Climate, Temperature, Where to go? Portugal in october: average Weather, Temperature and Climate, Where to go? How is the weather in Portugal in october? Is it the best time to go to Lisbon and Porto? Check this with our datas and informations below. In this section, find the the weather forecast for october for most popular cities in Portugal. These forecasts are probabilities for october from weather reports for many years. The percentage indicates the probability of having the weather indicated. The month of October announces the end of summer and prepares the coming of the winter which is not really far away. At the beginning of the autumn season, some regions receive more humidity than others. For this reason, the climate throughout October in Portugal depends on the geographical location of each locality. The south still enjoys ideal climatic conditions while the north becomes damp once again. The climate of northern Portugal is deteriorating rapidly. The daily temperatures drop very quickly because as the days go by, the temperature difference rises from 4° C to 5° C. In both Lisbon and Porto, rainfall intensity has almost doubled. However, if one wants to visit Porto, it is better to be prepared for more frequent rain. Faro in the Algarve experiences more favorable climatic conditions, ideal even. Indeed, the days are radiant with very little rain. The clear sky provides an ideal sunshine all day long, throughout the entire month. The weather throughout October in Portugal makes this area an ideal destination to prolong any holiday in the sun - as the sea water is also perfect for a swim! The climate of Madeira is magnificent - the heat is almost constant from sunrise to sunset, which makes the weather in Portugal throughout October in the Madeira archipelago rather pleasant. The sun is often present, however due to the recurrent presence of rain - expect a few days of fine showers, especially towards the end of the month. Where to go in Portugal in october? Where should you go in Portugal in october when it comes to the weather? The climate in Portugal in october ranges from perfect to good depending on the region and city. On the month of october the weather is perfect in Portugal, but partially because it concerns only the cities of Albufeira and Faro. Around these cities, the conditions are right to live fully your travel: the sun is here, rainfall is scarce and the humidity is endurable. It is therefore the ideal month to visit these cities! 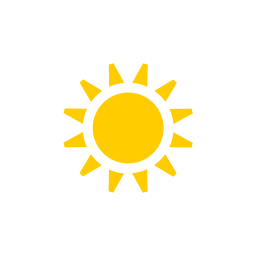 Please note that the weather is good in the cities of Porto, Lagos, Cascais, Lisbon and Sintra. Around here, temperatures are still pleasing and allow you to visit - and why not do a bit of sunbathing in the sun! If you do not go to spend your time in a lounger by the pool, but, for example for hiking, the city of Viana do Castelo have a just ok weather for this kind of activity in october. In october, maximum temperature is 25°C and minimum temperature is 20°C (for an average temperature of 23°C). The climate good in this location in this month. With 100mm over 8 days, you risk getting wet slightly during your holidays. But this is reasonably and it is only of temporary showers. With good weather conditions, october is an advisable month to go in that area. In october, maximum temperature is 25°C and minimum temperature is 19°C (for an average temperature of 22°C). The climate quite pleasant there in october. With 67mm over 7 days, you will experience some showers throughout your holidays. But this is moderate and it will not be continuous. With a perfect climate, october is an advisable month to go in this locality. In the month of october, the mean temperature in Faro is 23°C (maximum temperature is 26°C and minimum temperature is 20°C). The climate quite comfortable here in the month of october. With 66mm over 6 days, the rain will not be a problem throughout your trip. With a perfect climate, october is an advisable month to go in that area in Portugal. In the month of october, the mean temperature in Porto is 21°C (maximum temperature is 24°C and minimum temperature is 18°C). The climate comfortable in that locality in this month. With 192mm over 11 days, rainfall can happen throughout your vacations. But this is pretty moderate and it will not be continuous. With a good climate, the month of october is a good month to go in this locality. In october, the mean temperature in Lagos is 23°C (maximum temperature is 25°C and minimum temperature is 21°C). The climate pleasant around this city in this month. With 76mm over 8 days, you will experience some showers throughout your journey. But this is pretty reasonably and you will not be too bothered by it. With a good weather, the month of october is a recommended month to go in this city in Portugal. Weather data for Portugal in october is derived from an average of the weather forecast since 2009 in Portugal. There is a margin of error and these forecasts are to be considered as general information only. The weather in Portugal can vary slightly from year to year, but these predictions should limit surprises. So you can pack your bags and check when is the best time of year to visit Portugal.